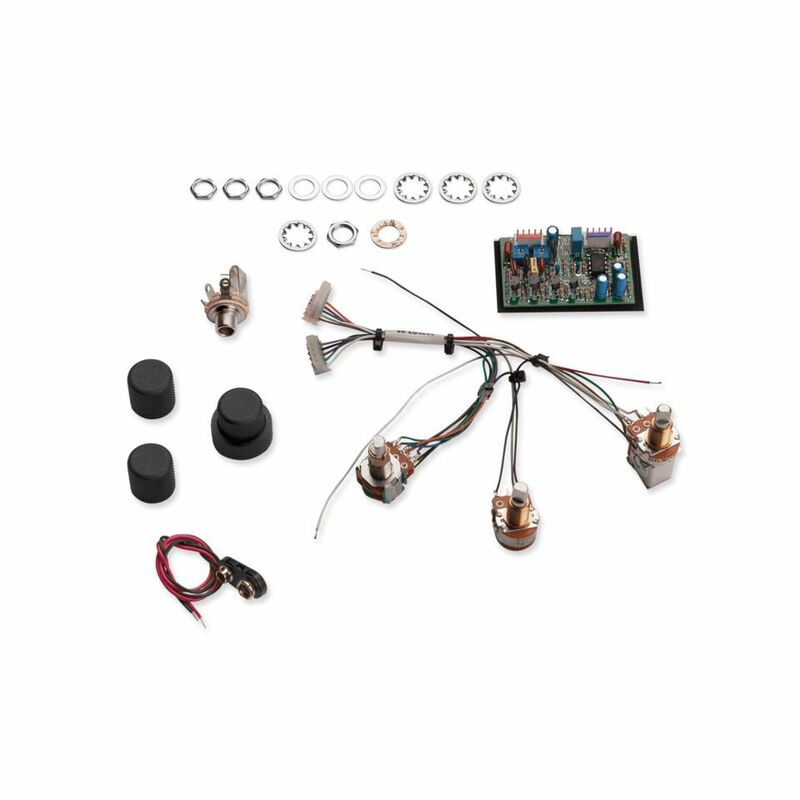 The Seymour Duncan STC-2P Passive Voiced 2-Band Active Bass Preamp is a 2-band bass preamp for passive pickups that includes a prewired 3-knob harness. The STC-2P provides bass and treble controls, a master volume, a blend control, and a Slap Switch. The treble control is capable of producing a wide-ranging, usable response that is brilliant, yet smooth without being brittle. The Slap Switch is a pushpull located on the volume control. The two small trim pots on the circuit board can be tweaked to preset the slap contour EQ just the way you want.